Australian based graphic design startup claims ready to invest more for local content production in Indonesian to improve business penetration. Indonesia is claimed to be one of three countries with Canva users. In DailySocial visit with other media invited by the Australian Embassy in “Digital Indonesia Media Visit” framework, we met Canva’s Founder and CPO Cameron Adams, and the Growth Officer Xingyi Ho. Adams explained, besides Indonesia, there are Brazil and India. Those three countries grab Canva’s attention. In addition, Canva is not only available in English but also French and Spanish. Xingyi added because the three markets aren’t English-speaking countries, the company is adjusting to focus on it for deeper business penetration. Therefore, content localization is a priority. In addition, Indonesian users growth is increasing rapidly since Canva released an Android version app in November 2017. “We started to deepen the non-English market since last year. In fact, after the Android version app released, the growth is significant. We’re getting more aggressive in making content for Indonesia since the last six months”, he said. Further He said, Canva is to make some investments for multiple contents in Indonesian, start from the logo, symbol, greeting card templates, and many more. Canva products most Indonesian people used are various size designs for social media, posters, and presentations. The company gets help from local people working as the third party to help Canva deepen its vocabulary in the content. Nevertheless, Xingyi hasn’t thought of the possibility to open a representative office in Indonesia. In his opinion, the consideration is not urgent. 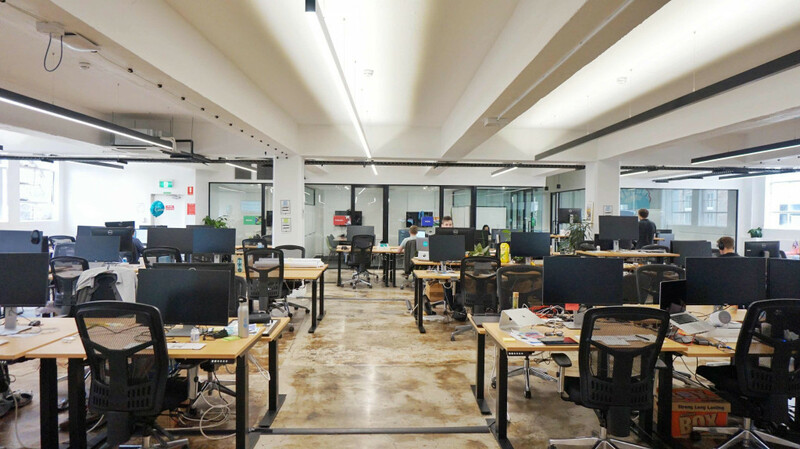 Canva currently has a representative office in China and its head office in Sydney. The unicorn startup claims to have had 10 million active users in 190 countries since it was established in 2013. However, Adams avoids revealing further information regarding users from Indonesia. Canva sets a freemium business model for all its content. Users are capable to design with available tools for free, but there are some more attractive variations and it requires a fee. Aside from Android version app, Canva has some supporting features, such as Canva for Work to enable users to connect with a design project. Canva for Prints, as a digital printing solution, is only available in 32 states in the US, Canada, Europe, and Mexico. Indonesia hasn’t made it into the service list, but Adams ensures Indonesia will soon to take its turn in making Canva for Prints alive in the future. 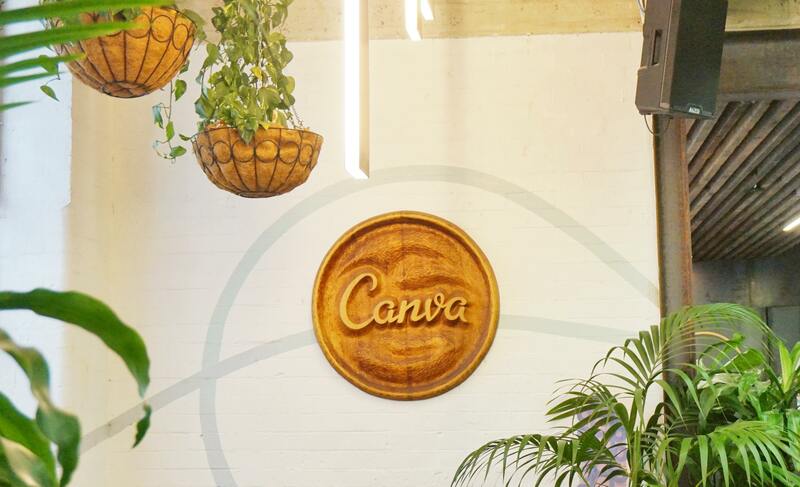 In the same occasion, we’re also invited to get around Canva’s head office in Melbourne. In total, Canva has around 400 employees distributed in three offices near each other. 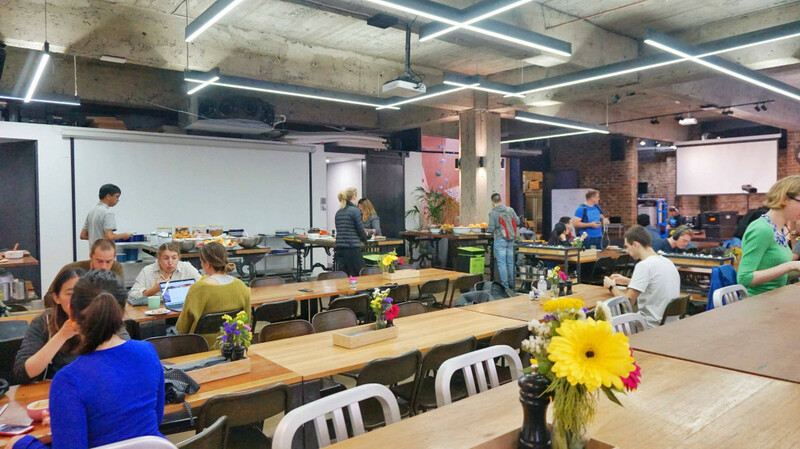 Canva has a kitchen room and shared dining area on the ground floor. Adams said the dining room opens up opportunities for employees to communicate with each other and exchange ideas. The atmosphere was made as cozy as possible, supported by an additional facility like the attractively designed pantry. Employees can work flexibly without having to worry about office hours. 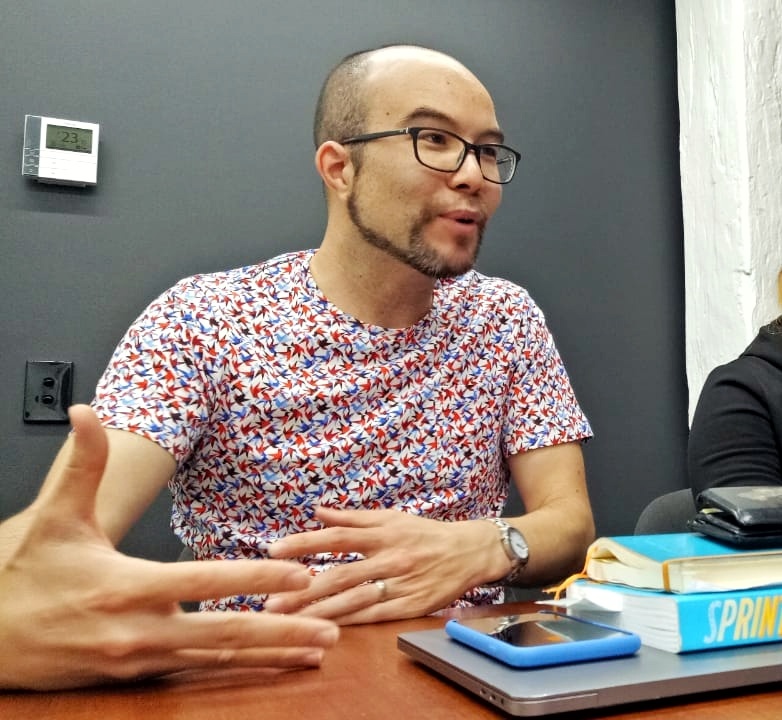 Since Canva was first released, Adams expects it to be the solution for users who want to be an independent graphic designer. To date, graphic design is considered exclusive because it requires special tools not everyone has.